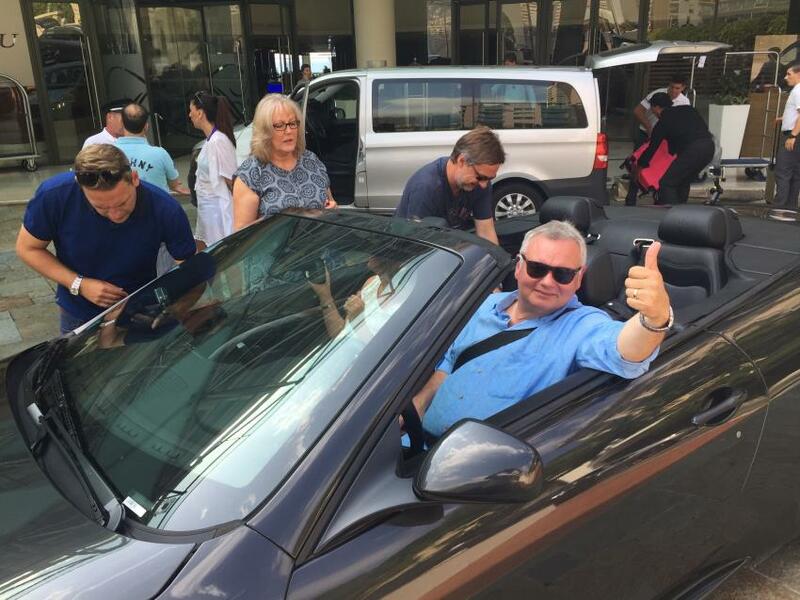 How the Other Half Lives, the Channel 5 show that is presented by Eamonn Holmes & Ruth Langsford, picked up the Maserati Grancabrio from Luxury Rent Car in Monaco this weekend. Luxury Rent Car played host to Channel 5 this weekend, lending a Maserati Grancabrio supercar rental to the presenters Eamonn Holmes & Ruth Langsford for the filming of the show. The Maserati Grancabrio is a popular supercar in Monte Carlo and the super-rich love the manufacturer. With sleek lines and Italian style, it certainly gets most heads turning. It drives like a dream too: "at the touch of a button, it transforms from a sports coupé into a open top roadster for a truly inspirational driving experience." In the Channel 5 programme, Eamonn Holmes and Ruth Langsford step inside the lives of the super-rich, detailing the pleasures of the most lavish and luxurious lifestyles. This show will be about Monaco and her residents. This Maserati Grancabrio convertible four-door car is perfect for a family or group of friends who need more space and like to make a lot of noise. "The GranCabrio’s 4.7 litre V8 engine produces 450 HP at 7,000 rpm, and a maximum torque of 510 Nm at 4,750 rpm." Contact the Luxury & Services team to discuss your Maserati rental requirements.